Promote events and manage registrations and available tickets directly on your website. Manage the price, date, time and number of tickets available for your events. Track registrations and keep your customers' information on your site. Add an image, a description and a location that will automatically generate an interactive map. Allow your visitors to sign up for events by creating a new account on your site or by logging into their current account. 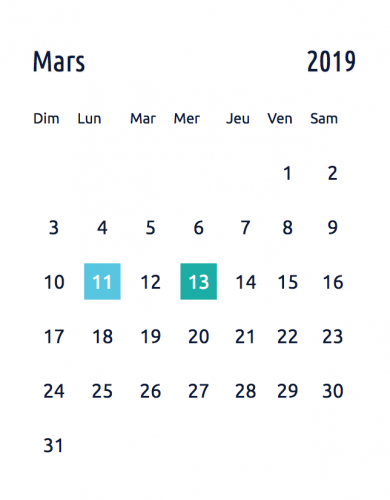 Add a calendar with a monthly or weekly view to your website, and then manage event types or categories with customizable colors. Need to manage events in your project?